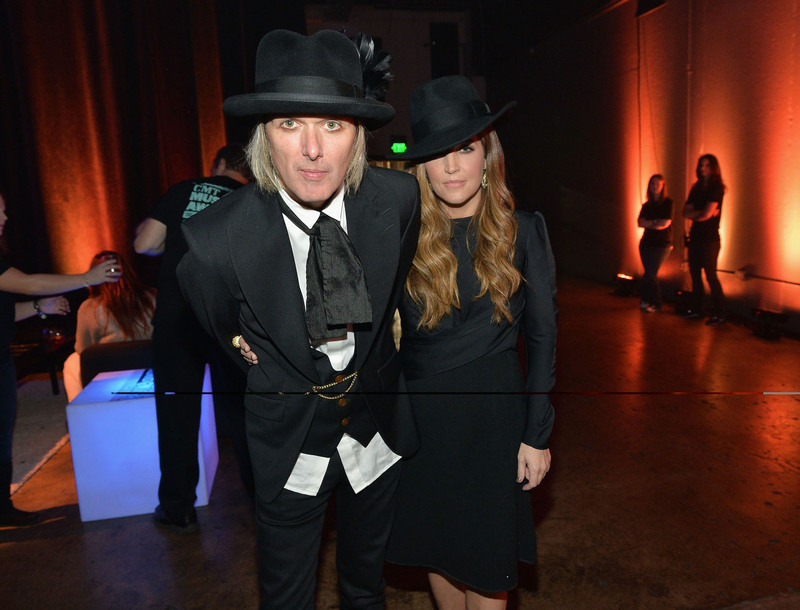 Lisa Marie Presley finally had a good day in court when a judge ruled this week that she does not have to pay one single cent to her estranged husband, Michael Lockwood, in their acrimonious divorce. Last week, Lockwood had argued in court that the post-nuptial agreement that the couple signed in 2007 should be torn up because he didn't read it and his attorney didn't explain it to him. Wow, he sounds like a special kind of stupid. The 2007 agreement simply stated that Lisa Marie would have no rights to Lockwood's property or spousal support and Lockwood would have no rights to Lisa Marie's property or spousal support in the event of a divorce. "The Court finds that the post-nuptial agreement signed by the parties November 28, 2007 is valid and enforceable in whole. If Respondent (Lockwood) elected not to read it (the post-nup) and accept the consequences that it would be upheld, that is also his choice." In February, Lisa Marie was ordered to pay nearly $100,000 of Lockwood's legal fees. "He had nothing – and she doesn't care. She is just looking out for herself. She had her inheritance from her father and whatever else she had and she did not want him (Lockwood) to get a piece of it." The biggest issue in their divorce proceedings was the validity of the post-nuptial agreement. Presley wanted the post-nup enforced. She claimed Lockwood ran up millions on her credit card. Lockwood wanted the judge to throw the post-nup out on the grounds that he didn't read it before he signed it because it "didn't interest him." "I have been doing this for 38 years and I have never heard of anyone asking a court to void an agreement on the basis of saying, 'I didn't read that agreement', following it by saying, 'I wasn't interested in it. Lockwood freely and voluntarily entered into the post-nuptial agreement. He acknowledged that he was not threatened, Miss Presley did not threaten to divorce him if he didn't sign. Mr. Lockwood said that he didn't read a single word of the post-nup because it was not interesting to him. Frankly that is mind-boggling." In 2006, the year they got married, Lockwood made $245,000 a year as Lisa Marie's musical director. In 2007, the year they signed the post-nup, he made $150,000. Lockwood tried to claim that Presley hid her wealth from him. However, Lisa Marie's attorney pointed out that a statement of her assets and liabilities was attached to the 2007 post-nup (the one Lockwood could not be bothered to read) and it listed her net worth at the time at $62 million. Lockwood's attorney told the court that if he doesn't get any money from Presley he'd be living on a poverty level income and be on the hook for hundreds of thousands of dollars in legal fees. Lisa Marie revealed in court documents that she is $16 million in debt, $10 million of that is back taxes that she owes. In February, she filed a lawsuit in Los Angeles against Barry Siegel, her former business manager. She is accusing him of charging her $700,000 a month while losing her $100 million trust fund. Lisa Marie Presley not only isn't set, but is actually more than $16 million in debt, if documents filed for her divorce from Michael Lockwood are to be believed.